You have probably heard about the current situation in Bolivia. If not please see this blog post. 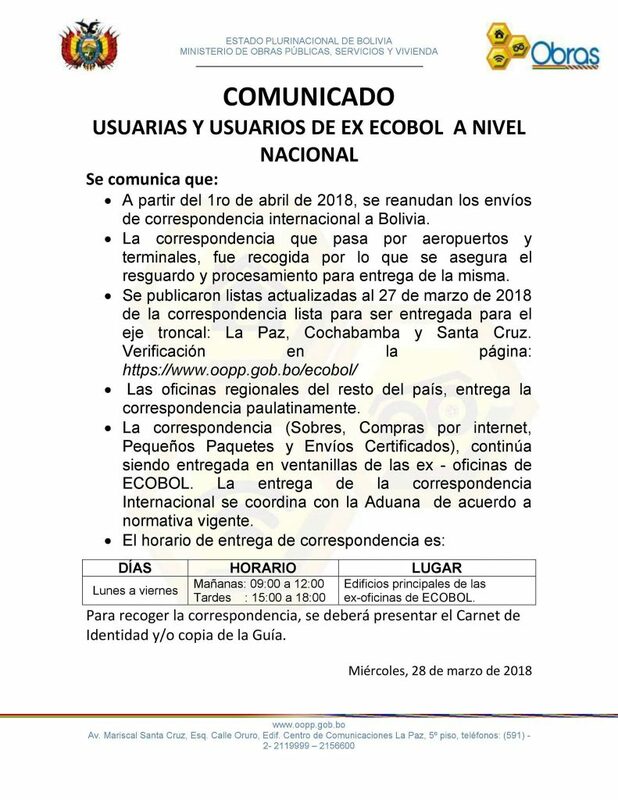 The problem is that Bolivia stopped receiving of international packages and they blocked them. Thanks to it USPS (Postal office in the US) decided to not sent new packages to Bolivia until the situation will be solved. What happened to packages which have been already sent? How to send a package to Bolivia now? Now you have two options how to send a package to Bolivia – DHL or FedEx. These shipping methods are more expensive than our Planet Mail or USPS, on the other hand, these shipping methods are fast. Remember that with Planet Express, you fill customs declaration by yourself before mail out and you can declare your package as a gift if you want. To check our shipping rates via DHL or FedEx, please use our postage calculator. Also based on the official statement from the Bolivian government, the postal office should start working again soon. Anyway, we will allow USPS and Planet Mail to Bolivia only in case, that we will be for 100% sure that they will not block your packages again. We will be monitoring this situation and will keep all our customers posted. There is also a very good community on Facebook of Bolivian customers where you can find some updates directly from the source. Visit this link.